At Sacred Heart of Jesus Parish children receive First Communion in third grade. For information on Faith Formation classes click HERE. Please contact Michael Denz at SacredHeartMike@gmail.com or call the rectory at 716-683-2375 with any questions. February 10 First Communion Parent Meeting, 9:45 – 10:30 in Library. May 4 First Communion rehearsal, 11:00 am in church. 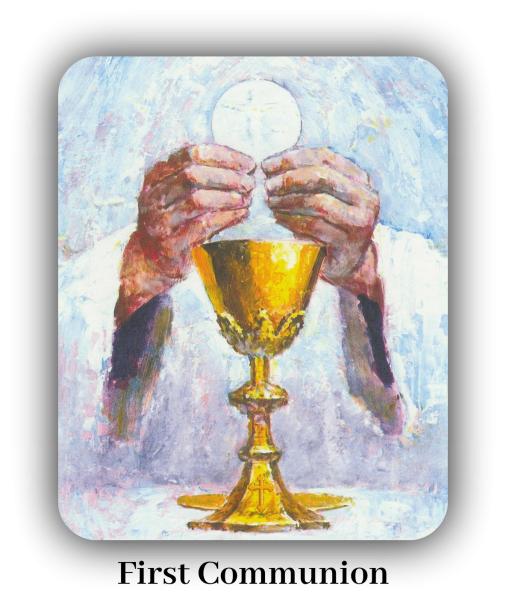 May 5 First Communion, 11:00 am Mass.